The Serenade @ Holland is a luxurious District 10 development ideally located along Mount Sinai Drive, just off Holland Road. This exclusive residential development is close to choice schools like Anglo Chinese Junior College, Raffles Junior College, Henry Park Primary School and various tertiary institutions like the National University of Singapore, Ngee Ann Polytechnic and Singapore Polytechnic. Set within a quiet and serene residential area, The Serenade @ Holland is also minutes away from restaurants, entertainment outlets and supermarket facilities at Holland Village, Cold Storage Jelita and Sixth Avenue. 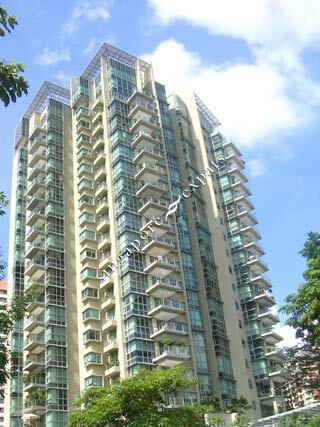 The 21-storey, 89-unit condominium comprises a good mix of two, three and four bedroom apartments and penthouses. The development is surrounded by lush greenery in the form of garden walls, and clusters of flowering trees at the fitness / barbecue and kids play area. Water features, like the two flanking high water-walls located at the main entrance of the driveway and the water curtain along the pool deck walkway, add to the elegance of the surrounding landscape. Every unit comes with its own private lift lobby and most have their own balcony. Furthermore, the recreational facilities caters to the entire family including a barbecue deck, function room, swimming pool, Jacuzzi, kids' pool and tennis court. This is also the "First Keyless Condominium in Singapore", being the first private condominium to feature the use of "keyless" technology where doors and other security points are controlled by fingerprint scanning device. Furthermore, the development is also wired for broadband access with all units equipped to receive not only cable vision but also "Digital" TV signals as well - another first for a Singapore condominium. Residents at this development will experience the added convenience of being well served by major roads and expressways. These include Holland Road, Clementi Road, Ulu Pandan Road and the Pan Island and Ayer Rajah Expressways that provide direct access to the other parts of Singapore. Very nice, high end development. Excellent layout and very large master BR and living. Love the private lift. Has a very exclusive feel because its not too crowded like big projects.